Here are 10 Reasons why EZI is our First Name! There’s a reason why we are called ‘Ezilend’. We’re determined to make it easy for our customers to own what they want or need, with loans they can afford and manage. Everything can be done online, 24/7/365! You simply start with the Pre-Approval process which takes just a few minutes. Documentation can be emailed and once approved, we handle the loan settlement process using EFT. We’re available by phone when you need us. We’re happy to answer your questions and reassure you that we’re real people like you. Your personal broker works with you through the whole loan process; you won’t be shifted around among other people. We don’t look down on poor credit histories. Life happens. There are lenders who understand this. We’ll find you a loan product that can get you back on the right financial track. You don’t have to run around all over town. No boring office meetings, no traipsing to your accountant, bank manager or finance office. See point 1! We do private vendor checks for you. Ezilend will conduct your REVS and PPSR checks to protect your interests before you take ownership. We’re not ‘stuffed shirt corporates’. We’re everyday men and women who happen to be experienced and well qualified in recommending and selling finance products. 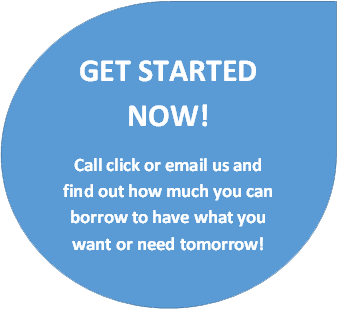 We do the research for you and deal with the lenders so you don’t have to. We’re with you. Big ticket purchases make a big difference in people’s lives. It’s exciting! We get a thrill out of connecting our customers with loans that make those moments happen. It’s all about YOU! We don’t believe in pushing the latest deals from our lenders if they don’t meet your needs. You’ll receive a tailor made product every single time. Fast, efficient and straightforward. With Ezilend, there’s no mucking around. You could be the proud owner of your next car, camper, boat or other cool purchase tomorrow! At Ezilend we also understand business finance. So if you need funds to purchase equipment of any kind, talk to us!